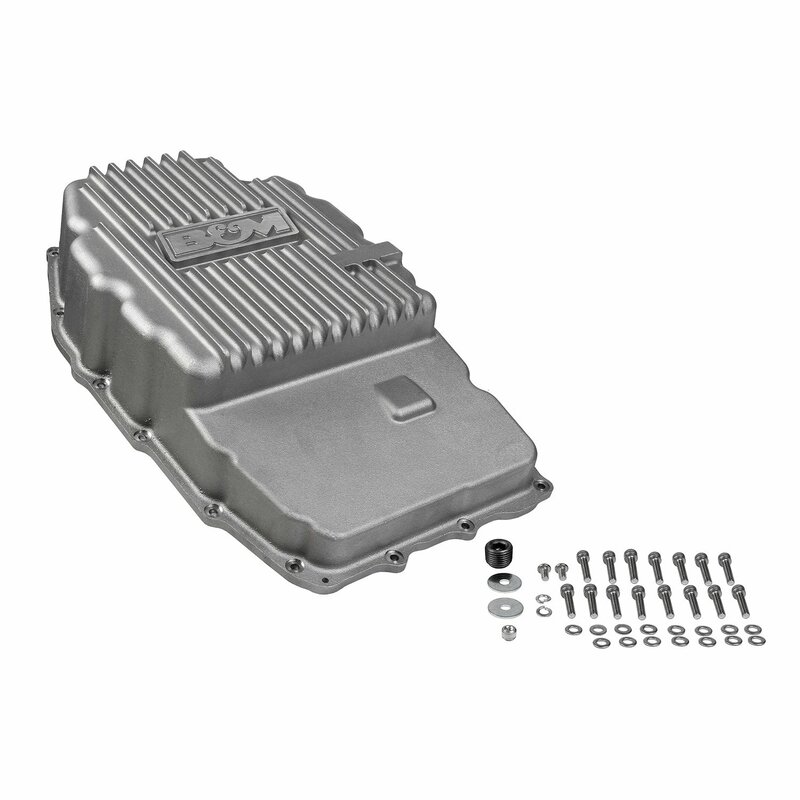 Fits 2015 to 2018 GM Full Size Truck and SUV with an 8L90E 8-Speed Automatic Transmission. 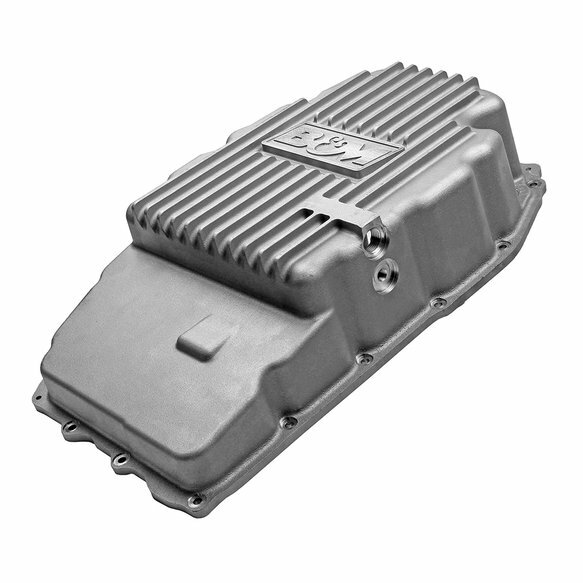 This B&M Hi-Tek deep trans pan is designed for 2015-2018 GM full size 1500 truck and SUV models with the 8L90E 8-speed automatic transmission. 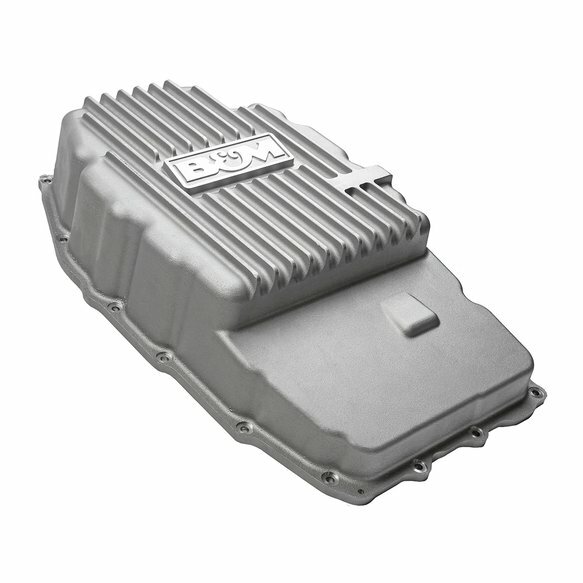 The pan adds 3.4 US quarts of additional fluid capacity for improved cooling efficiency over the stock transmission pan by using high quality cast aluminum. The Hi-Tek pan also incorporates external cooling fins which not only look good, but are also functional by increasing the surface area to help dissipate heat much quicker than the OEM stamped steel flat transmission pans. 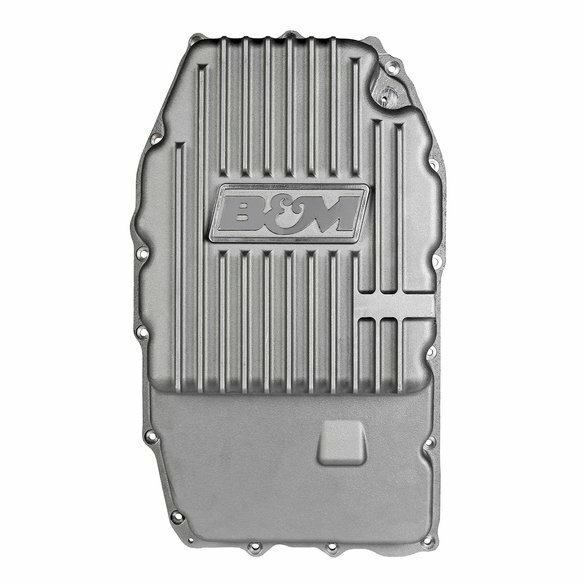 Additional features include an engraved B&M logo, a magnetic drain plug for catching ferrous metals, a temperature sensor port and mounting hardware. 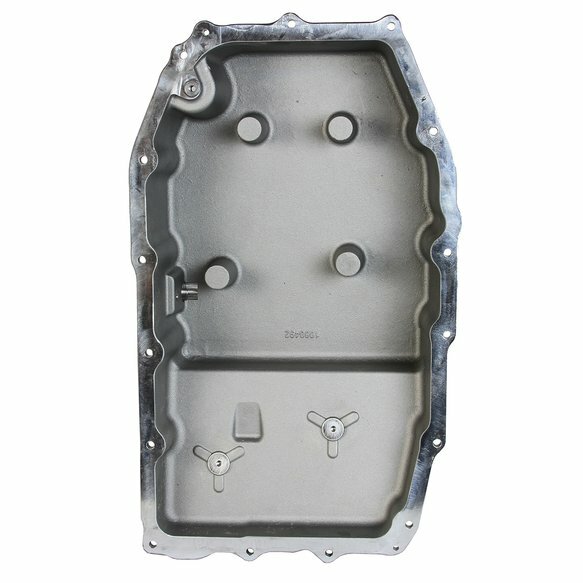 Gasket and filter not included.